China is prepared to invest as much as €100 billion in the European Financial Stability Vehicle – the Euro bailout fund. This is a small part of China’s US$3 trillion foreign reserves. Yet it is a large signal that China is committed to stabilizing Europe. Did somebody say birds and stones? 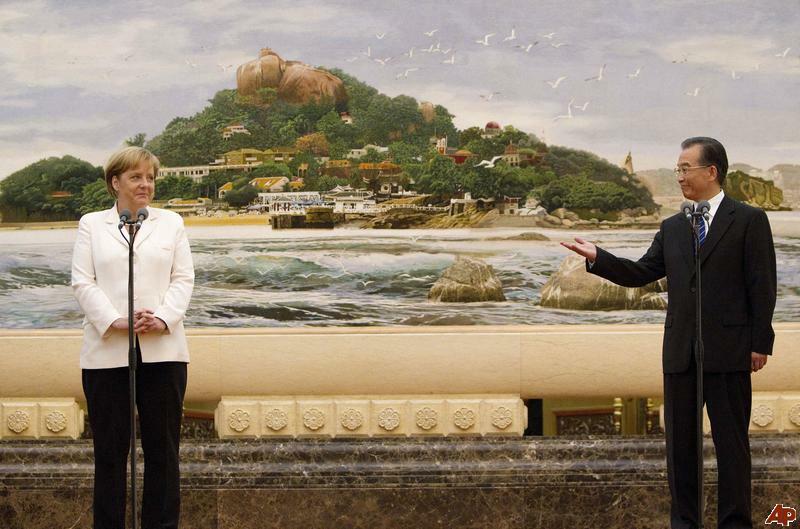 In January German Chancellor Angela Merkel traveled to China. Her visit included Beijing and Guangzhou. Accompanying her was China Premier Wen Jiabao. He said helping Europe would be like helping China itself. All of this is what world leaders have been asking from China – more active participation in global affairs. It is an evident sign of the nation’s mounting influence on the world stage. And it comes at a very, very helpful time. The more stability for Europe means the more stability for the world. A German tourist comes into a Greek hotel pays a € 100 bill on the counter and asks for some room keys so he could check if the rooms would appeal to him. The 100 € are a deposit. The hotel owner gives him all the keys, because he has not a single guest. When the guest is gone to check the rooms the host runs to the butcher and gives him the €100 and says it’s for the outstanding bills. The butcher goes to the farmer with the €100 and says, for the pig last week, which I still have to pay. The farmer goes to the only prostitute in the village and gives her the €100, because he has yet to pay his last two visits with her. The prostitute runs to the hotel and gives the owner the €100 she still owes him for the rent of two rooms, with customers. At that moment the German comes down the stairs and says that none of the rooms would please him. He gives the hotelier the room key, takes his €100 and leaves the property. Now the result: All debts are paid and no one has money! This is how the EU’s rescue package works.